Feeling just a bit blue? 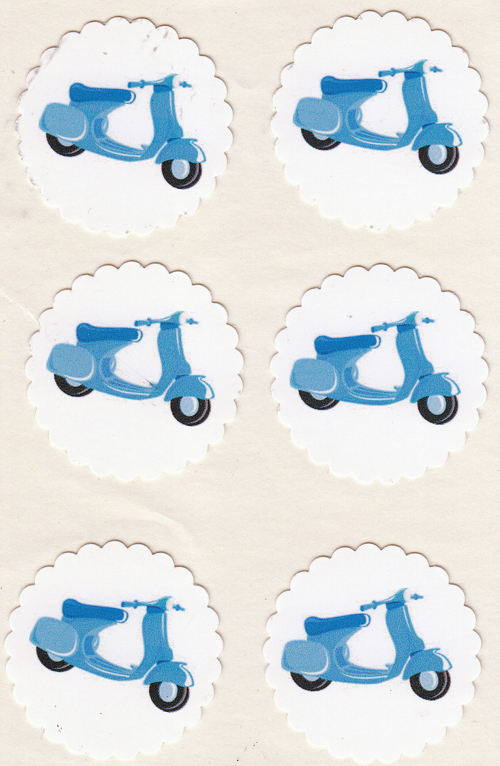 Get 12 shiny stickers of this vintage blue Vespa for just $4.75 (including shipping). Thanks to Julie G. for this find (as well as the stickers too)! This entry was posted in Stationery and tagged Crafts, scooter, scrapbooking, stickers, vespa by Tracy. Bookmark the permalink.